The project involved demolition of existing structures, and construction of a new 2 storey ‘Block L’ with associated landscaping works. The facade involves uses mix of materials that added to the complexity. The outcome is a dynamic appearance with a high quality finish. 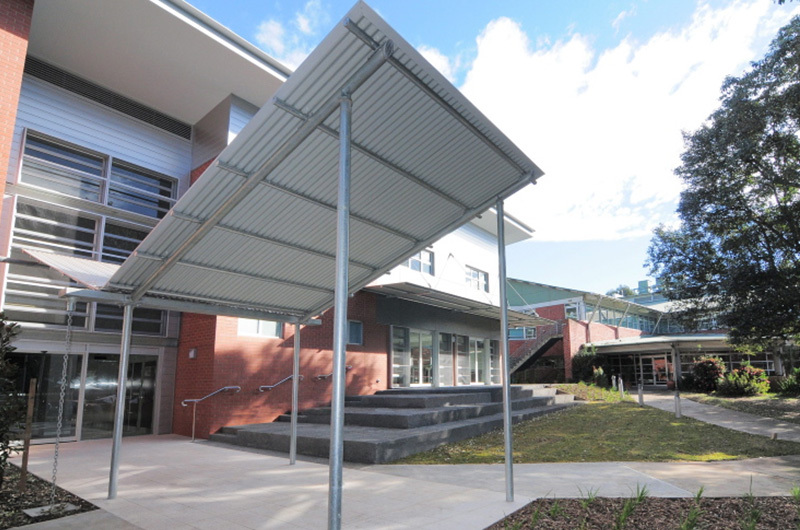 The TAFE will conduct lectures plus classes for Aboriginal Art, Electro-technology, Hair & Beauty and Nursing within the building. The project team improved the design in several areas. Some improvements were cost neutral, while others resulting in savings of around $17,000. The external vitra-panel façade was re-designed for improved aesthetics, plus reduced maintenance. They stormwater system was reconfigured to improve performance and reduce costs.